I just finished off the proofs for the Cain’s book and it looks like the story never ends. News is breaking that Cain’s is in trouble. The BBC has the story here, and there’s more from the Liverpool Echo, but it’s a story for our times and one we’re all familiar with by now: high energy and cereals prices, tightening credit conditions, and falling pub sales, are all putting pressure on the company. The smoking ban is being cited too, but I think that’s small fry compared with drinkers simply having less money in their pockets for all the reasons above. And the takeover of Honeycombe Leisure last year has probably left them more exposed than they might have been. In a sensible and measured statement Sudarghara Dusanj told the BBC that these are the worst trading conditions for brewing in living memory. He’s dead right about that, but he should also take comfort from the fact that Cain’s has weathered worse: the years following World War 1 were especially bad. The Dusanj brothers have done a great job rebuilding the brand and and making it a key part of Liverpool’s own revival. It would be a disaster for Liverpool if they should lose it now. Let’s get behind them and drink Cain’s. Edit 1: Southport Drinker and Tandleman take up the story and the Dusanjs come out fighting. Think this is a thoughtful comment, it’s made me take stock. We’re all waiting with baited, if not bad, breath. Drink more Cain’s? You’ve hit the nail on the head there. I emailed Ajmail Dusanj yesterday to wish everyone at the brewery luck and he replied that the Robert Cain quotation sums it all up. Fingers crossed. i would like to wish Cain’s all the best however they made a huge error in buying honeycomb leisure, a poorly run badly managed company. Cains have done little to sort out the estate and the their pubs are in many cases badly managed. My only connection with Cain’s is that I’ve written a book about the brewery’s long and chequered history, so I know as much (or as little) about the current situation as anyone else, but I thought the estate was undergoing quite significant refurbishment and that’s partly the problem. 100-plus pubs is a lot of B&Q own-brand emulsion. It does look as if the takeover has put the company under a lot of strain. As for the harrassment rumour, from a legal (and moral) point of view we need to be very careful about publishing comments that include serious allegations of this kind where specific people are identified. That’s why I’ve edited your comment–my edits in [square brackets]. There is no excuse for harrassment or bullying of any kind so I would like to think that swift action would be taken if there was any foundation to it and like you I’d be very disappointed if it turns out that it wasn’t. I’ve just bought a couple of bottles of Cains superb Raisin beer from my local Morrisons. 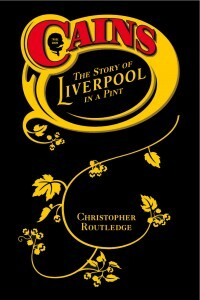 I love the Cains brand and Cains beer; their Bock was recently named best real ale at the Wetherspoons beer festival. Their beers cannot be left to die. The only way out as far as I see it as a standalone enterprise it is to unload their pub estate and concentrate on the brewery operation. That or a white knight takeover. Personally, I will continue to promote their beers down here in the South East as a shareholder and a fan and I wish the Dusanj brothers the very best of luck in their efforts to save the company. Absolutely right, Richard, the beer is great–the Dusanjs have done great things on that score. They’ve achieved a lot in a very short time, both in the brewery and in the city, and failure at this stage would be very harsh indeed. I’m off to buy some Cain’s today too. The fact is they expanded too rapidly and have been overambitious. Honeycombe leisure was a bridge too far. To lose 4.5 million on a turnover of 25 million is catastophic!!! If they survive it will be in a very different form. Smaller ,tighter, more focused.